We believe that every commercial website owner would like to know the list of Top Social Sites to develop a successful e-commerce strategy. The choice of the right social sites to advertise your business can be a daunting task, but in the end it’s what determines the growth and website promotion. Social media play the role of an online equivalent of traditional advertising. Previously, traditional tools used to promote business were advertisements, television commercials, radio adverts and billboards. Nowadays, these are superseded by tweets and articles, blog posts and press releases, viral marketing and video marketing. 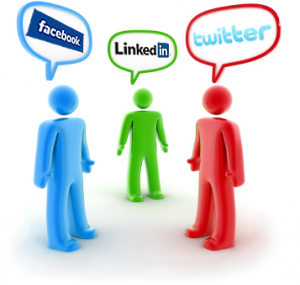 What are the best social sites for Internet Marketing? There are so called niche social sites that are aimed specifically at your industry, making it much easier to connect with others in a specific sector. The main social media players today are Facebook, LinkedIn, Twitter, Google+ and YouTube. Today these are the most widely used social sites. With their numerous followers these websites are a must-have for any social marketing campaign. Having established a strong following across these five sites, you can start working with niche social sites based on your industry, the services you provide or geographical location. The social properties of your business define your overall social image: company branding, company legitimacy and trust, and online reputation management are the aspects you should pay special attention to benefit from Social Sites participation. Facebook is best social website for “private networks”. Due to Facebook Pages your viewers get a chance to see your products and learn something about your company and its online presence. To get more followers you can build Groups and add Events. The more “Likes” your Page receives from visitors, the more popular it is. That’s why make sure your personal profile is strong and reputable. LinkedIn is the best social site for maintaining your professional business network. You can easily connect with former work colleagues and business partners who are in a related industry. The system allows for employee recruitment. You can also select candidates taking into consideration personal recommendations. Besides, your colleagues or clients can recommend you which will help to build a more credible profile of your company. Twitter (a micro-blogging platform) only allows for short posts (“tweets”) limited to 140 characters. This platform is currently growing into a multifunctional website like Facebook or LinkedIn, adopting the advantages of these accomplished social websites. Using Twitter you will be able to connect with a huge group of people and regularly broadcast status updates using both one-way and two-way connections without an involved conversation. Google+ is considered to be the biggest rival of social network Facebook. It combines social platforms Google Profiles and Google Buzz together with new services called Circles, Hangouts and Sparks. It is also available as a mobile application. YouTube is a site originally designed to upload, view and share videos. But online marketing is using it as a public “channel” where business owners can upload video files distributing promotional information and showcasing products. It is important to understand that the larger your social network, the more time you will have to spend to maintain it. Concentrate on the best social websites mentioned above and choose only a few niche oriented social groups, since it is much better to have a closely united network of quality followers than it is to have a larger network spread over many social websites that your company is not engaged with. To increase the effectiveness of your accounts you will have to link them, which could be quite difficult if you are dealing with too many social sites.